I’m obsessed with photography and when I heard about the Capture the Colour Travel Photography contest it sounded like fun. I’m constantly taking photos wherever I go so it was very very very hard to chose just one photo to represent the five different colors: red, blue, green, yellow and white. Here are my selections. Which do you like best? 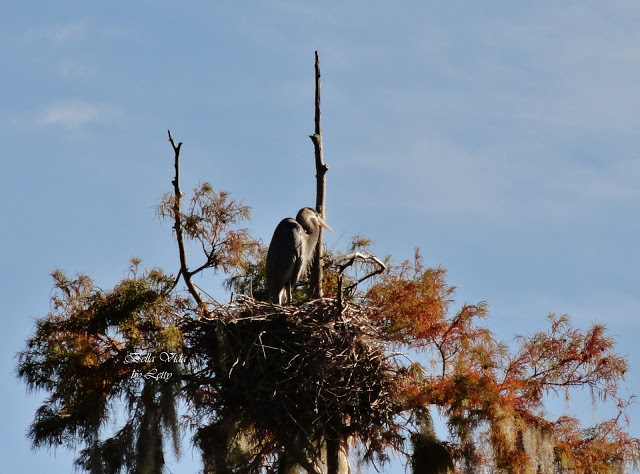 Most visitors to the Florida Everglades come to see the alligators but what they might not know is, it’s a wonderful place for bird watching. I patiently canvassed the swampy waters and sawgrass with my camera lens when to my luck I noticed a red beak. I walked as close as I dared without scaring this beautiful bird away or getting bit by one of the gators sun bathing on the tar road to capture this image. 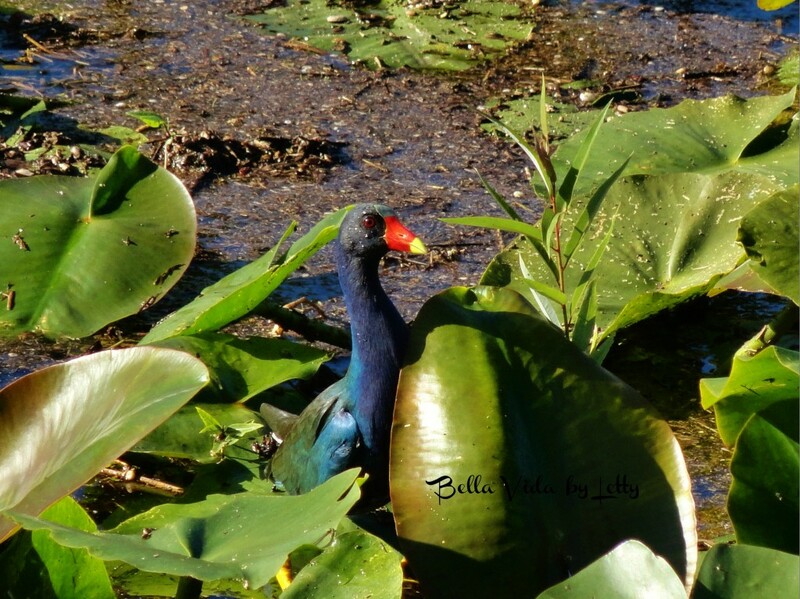 This beauty is called a purple gallinule and as you can see has a variety of colors in its feathers. It was the red beak contrasting with the green vegetation that gave him away. This photo was taken from the top of a glass bottom boat in the United States first undersea park, John Pennekamp Coral Reef State Park in Key Largo. That day the water was choppier than I had ever experienced so even though I don’t get seasick I was playing it safe above deck savoring a peppermint candy. It was a gorgeous sunny day. Toward the coast the water was a lovely jade color and toward the Atlantic it was a gorgeous deep blue shade that reminded me of a blueberry lollipop. 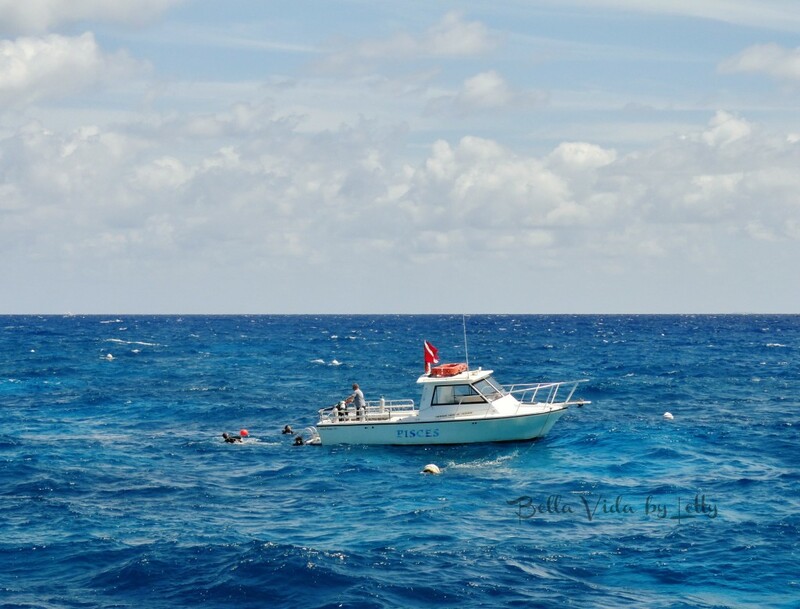 While enjoying the view a boat full of scuba divers anchored near us. It’s scuba diver flag bobbing up and down over choppy waters. Every day divers from all around the world come to explore the living coral reefs and natural wildlife habitat of this beautiful place. 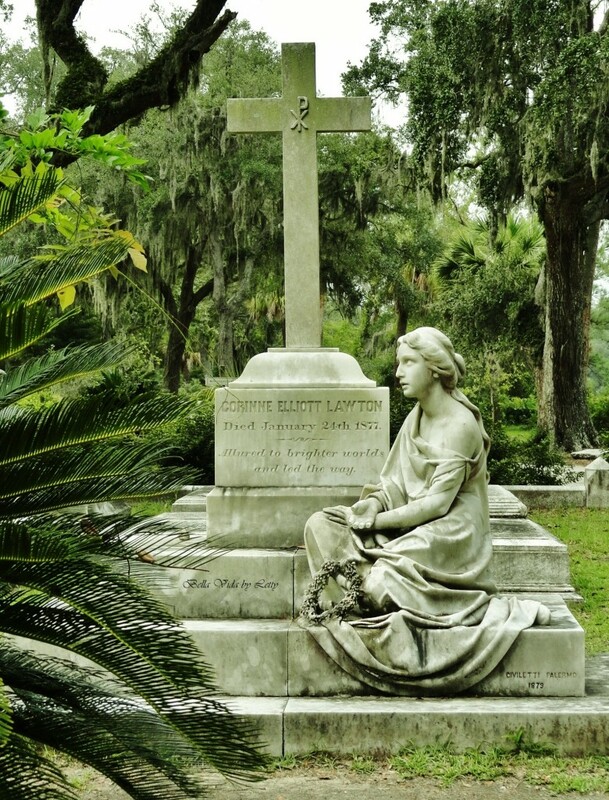 This photo is a of a statue in haunted Bonaventure cemetery in Georgia’s oldest city, Savannah. There are many famous poets, writers, government officials and civil war heroes buried here. It was a sweltering summer day even though we were shaded under the thick branches of the moss covered live oak trees when this solemn girl caught my attention. Maybe it was the contrast between the living and the dead. The bright green vegetations which has been growing for centuries and the inanimate statue sitting there for what may be an eternity. The dedication reads: “Allured to better worlds and led the way.” 1877. I capture so many Florida sunsets it was very hard to chose just one. I finally decided on this one which just happens to be my first ever instagram upload. This photo was taken at one of my favorite places on the planet, Wynwood Florida. 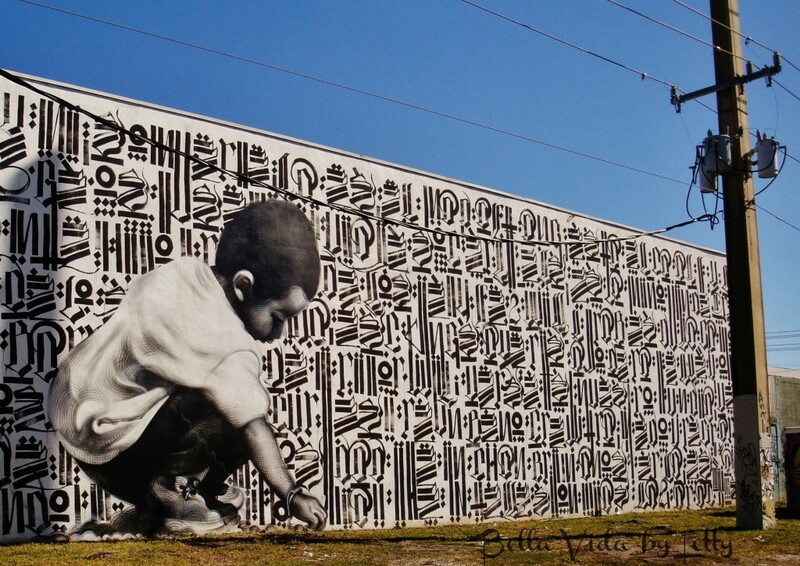 Wynwood Walls is famous for its murals and graffiti. They are everywhere. This particular mural stood out to me not only because of its size, which takes up the entire side of a warehouse, but also its subject matter. A beautiful boy pausing out of curiosity to dig for some treasure. Sweet. Adriana from La Dulce Vida The Sweet Life, Paula from 365 Things to do in SWFL, Maria from Blogging Babies and the Bayou, Karla from Foodologie and Ana from Cabeza de Coco. Please don’t forget to re-subscribe. You can do so here.